Sweet #TuesdayTea treats served with #LOVE! 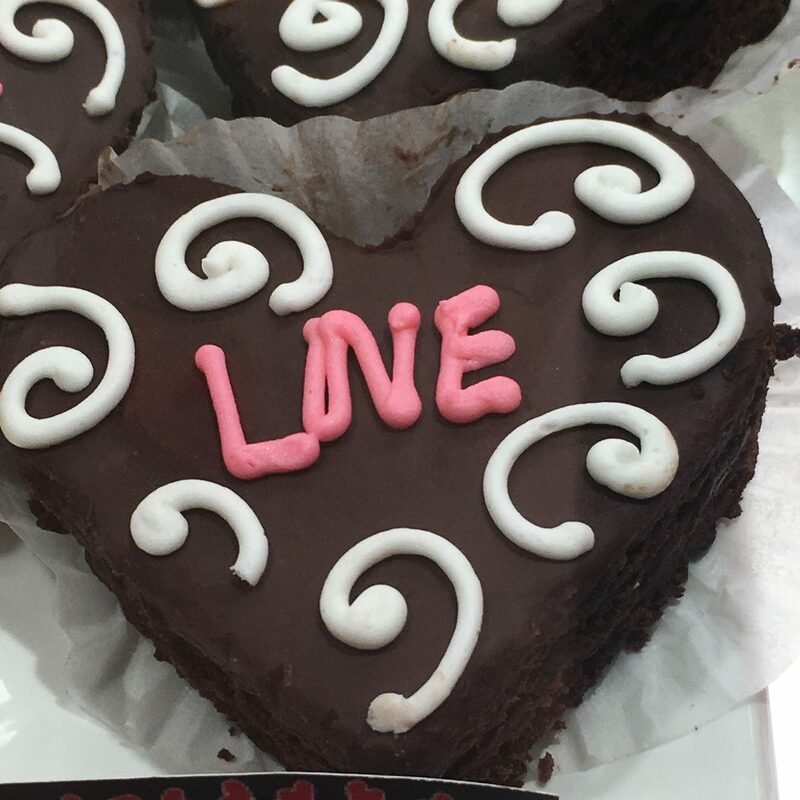 Chocolate brownie LOVE hearts. What a treat! 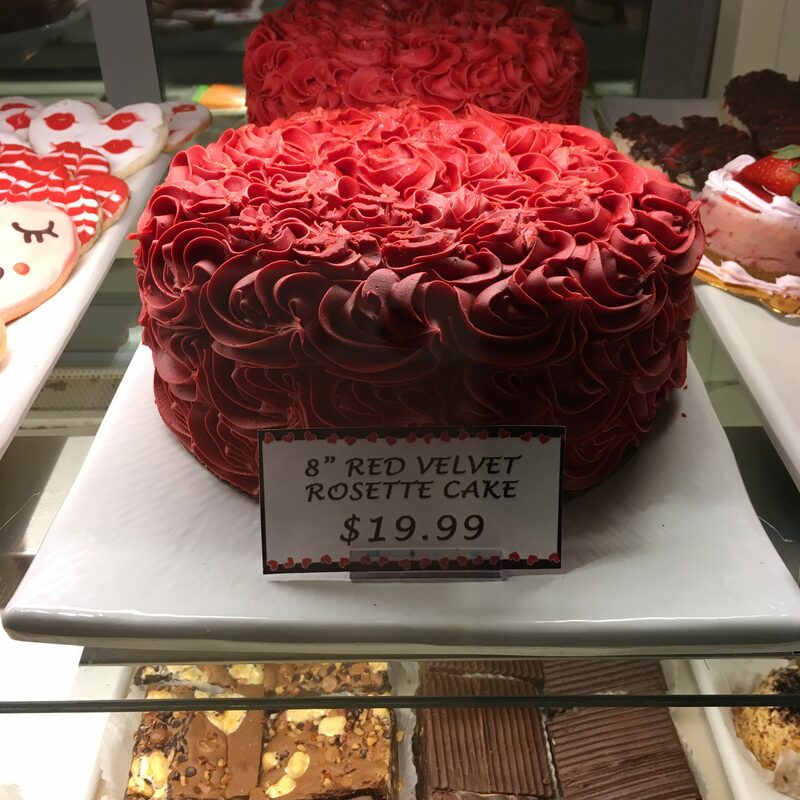 Welcome to my very late sweet Valentine’s Day Tea! 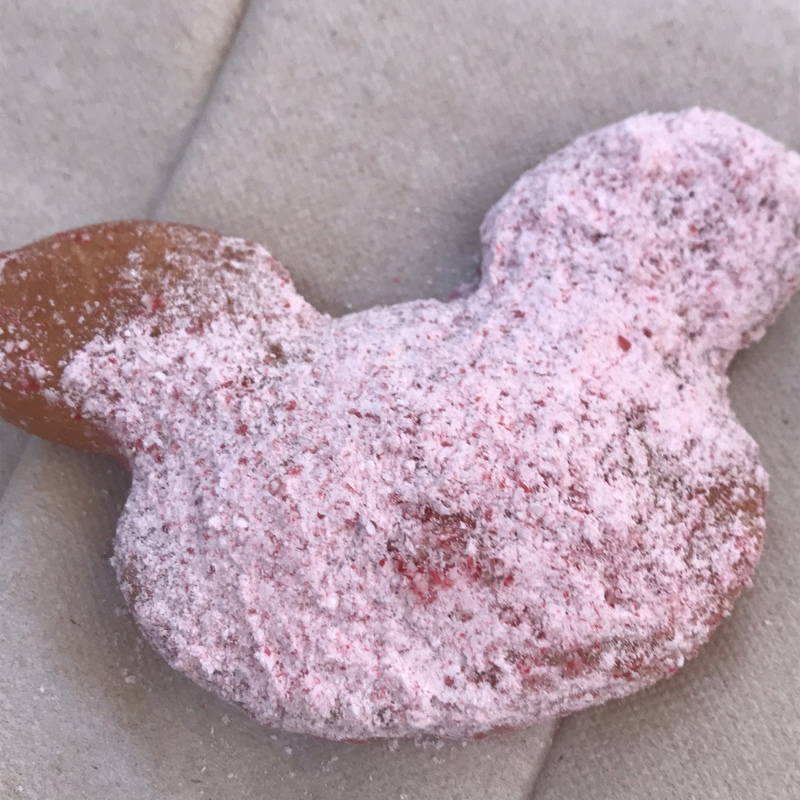 Since we’ve been traveling, this is a short post….filled with goodies I saw while on vacation. Please help yourself to some of these delicious and festive morsels. 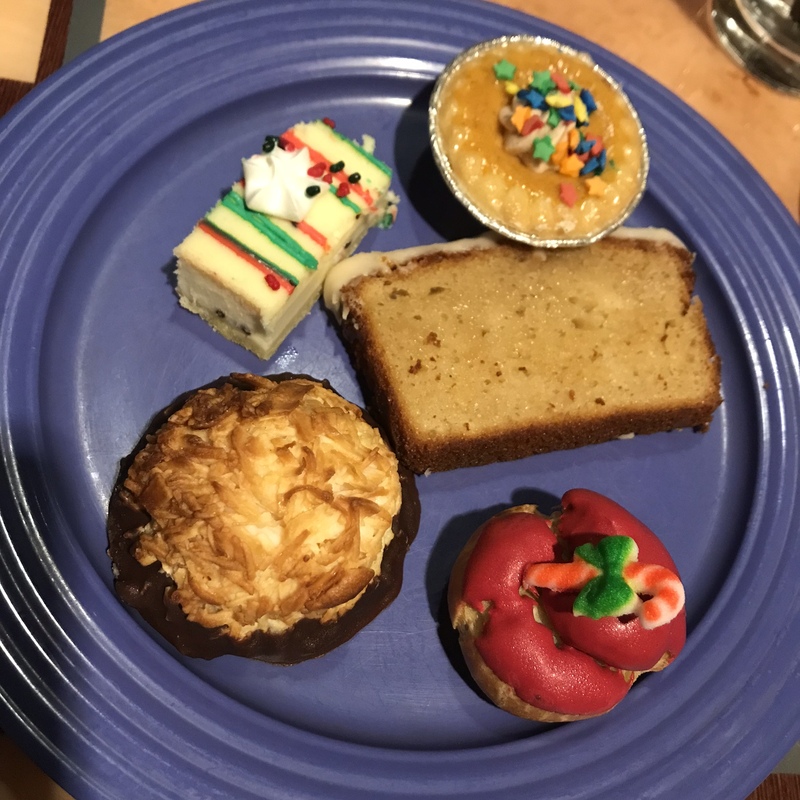 How to choose from this collection of treats? 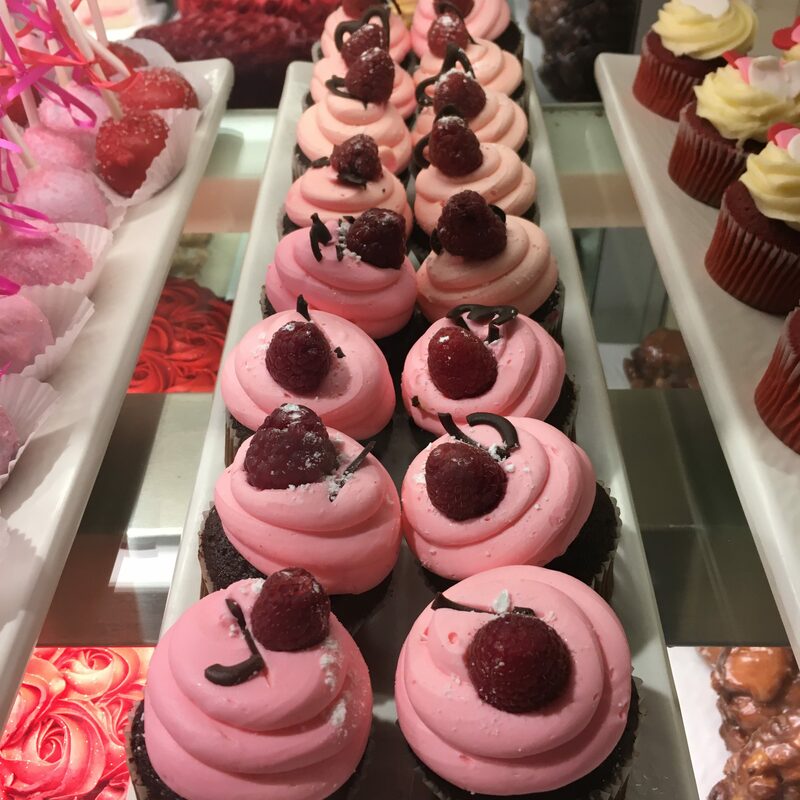 Raspberry cupcakes for a teatime treat. 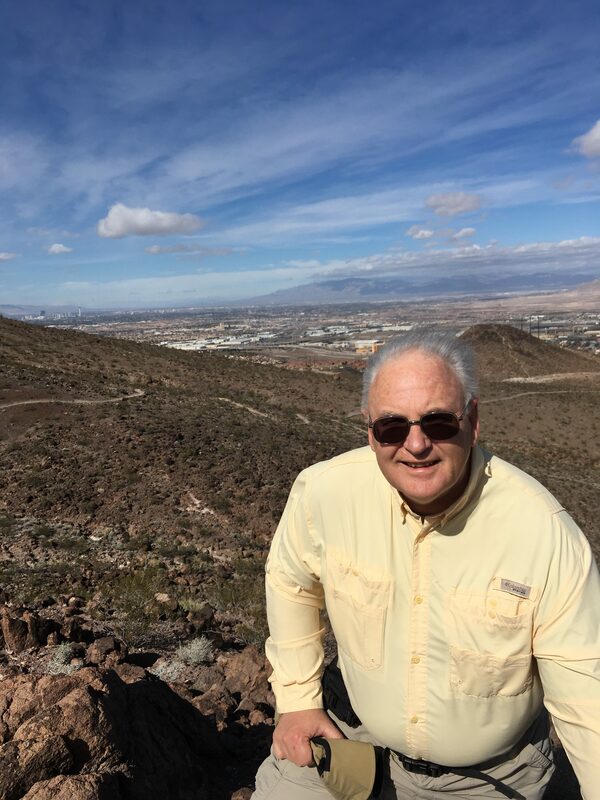 Hiking with my husband…a treasured blessing! My prayer for you: May you always appreciate your walk in God’s love…a treasured blessing! 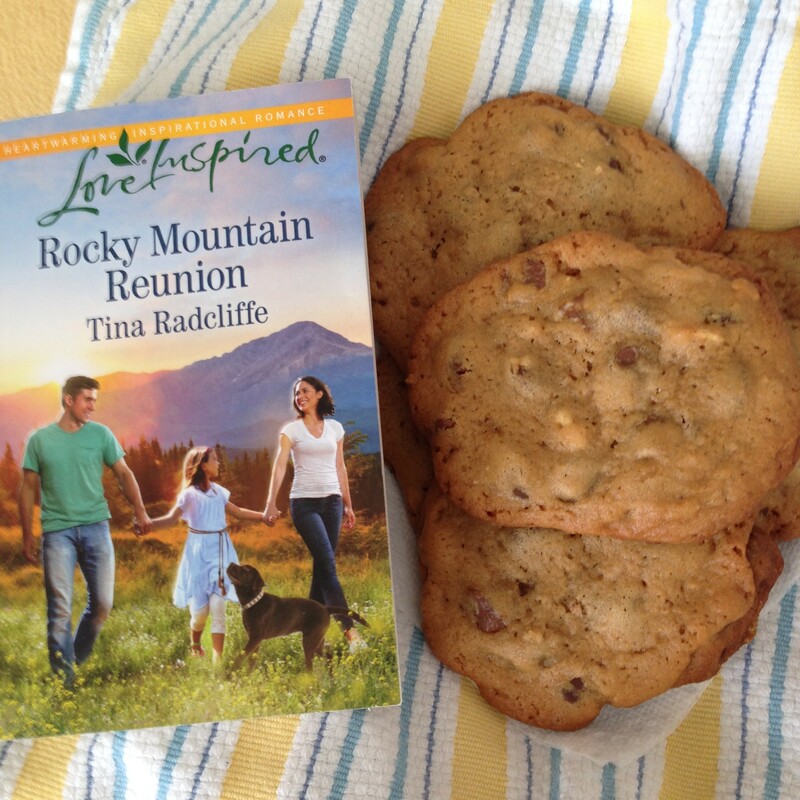 Please join me for a #TuesdayTea review of Rocky Mountain Reunion by Tina Radcliffe….including a special treat from Patti Jo’s Café and Bakery….a favorite place to stop in Paradise, Colorado. Rocky Mountain Reunion is small town romance at its best! Having lived in many small towns, I appreciate the strength of friendship and faith found in these communities…..and this book highlights these qualities. Located in a beautiful valley surrounded by the Rocky Mountains, Paradise, Colorado, is a special place. With its mix of loveable town characters, complete with failings and quirky behaviors, you feel you are among friends as you read this story. I’ve loved each of the books in this series….and I’m hoping for more. There is just something about the hard work, wisdom and values of small town folk which bring hope and contentment to my heart. If you haven’t read this series yet, you should know each book is definitely a stand alone. This fourth book adds a charming Victorian house, a sweet black lab and a young girl who needs comforting. Hero Matt is honorable….trying to do his best…as he deals with many difficult issues. Anne makes me smile with her kind and giving personality. Their tender story is about understanding and forgiving….and trusting God and His perfect timing. 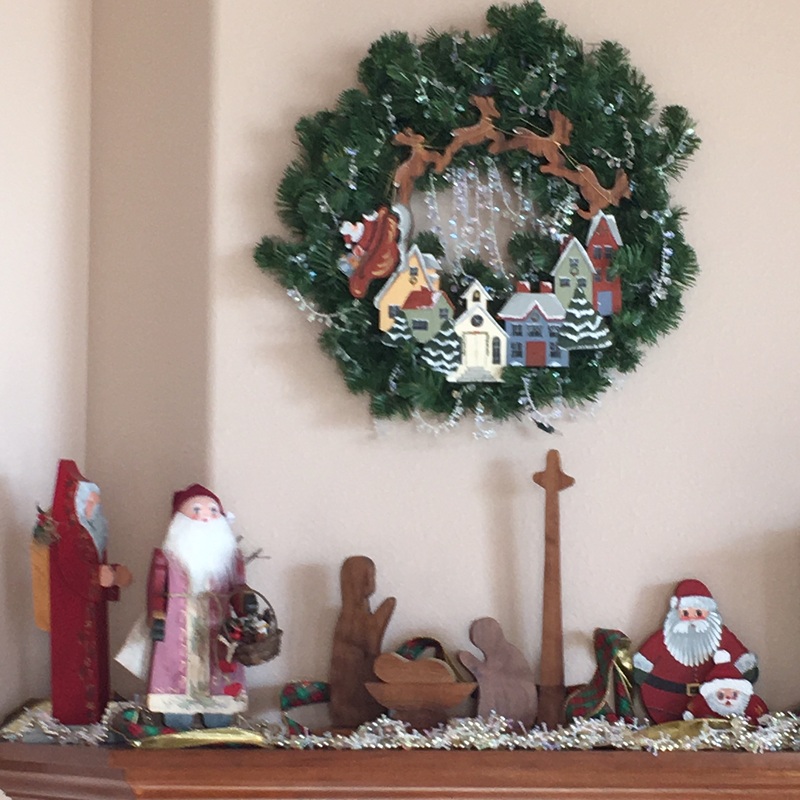 I just love visiting Paradise, Colorado…..where I feel at home. 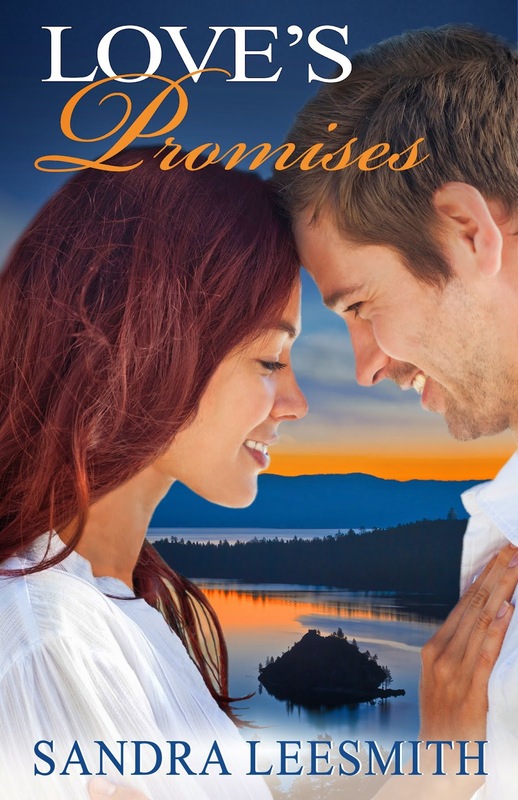 Love rekindled in Paradise, Colorado….small town romance at its BEST! If you like romance stories filled with endearing characters, special places and inspiring love, I suggest you visit Paradise, Colorado, a perfect small town, complete with beloved townsfolk who value friendship and faith…….a place for a beautiful romance to bloom. 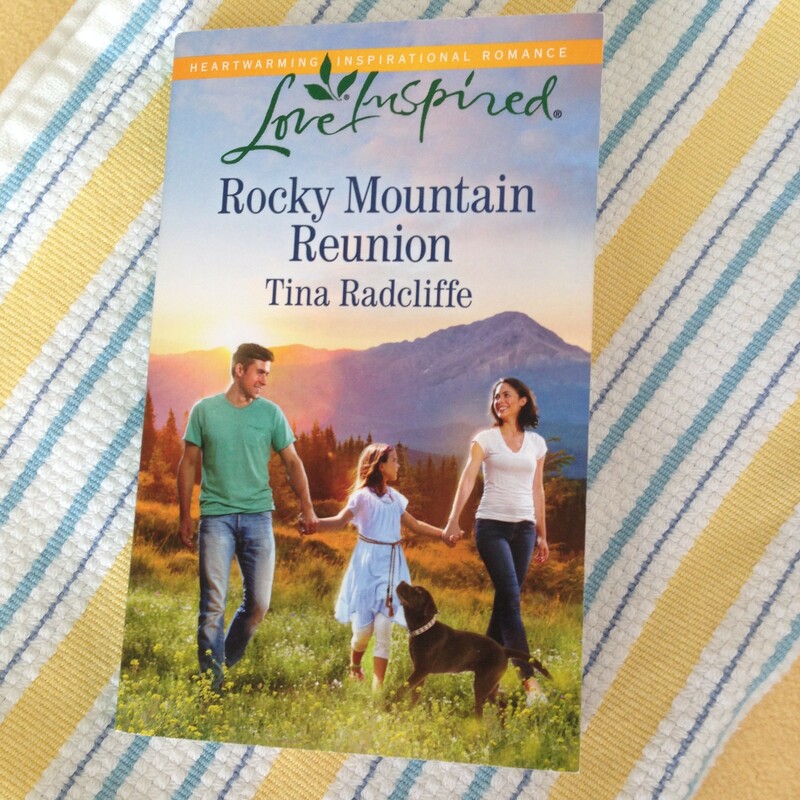 In Tina Radcliffe’s Rocky Mountain Reunion, ER nurse Anne Matson has centered her life around her demanding job and caring for her aging aunt…..the aunt who years earlier coerced her to leave the man she loved. Construction company owner Matt Clark returns to Paradise Valley with a nine-year-old daughter who just recently entered his life. I loved this story! The looming problem is certainly compelling with the decisions that must be made….and the deadline is fast approaching. Waiting……and forgiving is hard. I absolutely loved all the characters…..dedicated Anne, feisty Aunt Lily, hurting Claire, steadfast Marta, fun Juanita, faithful Stanley and, most of all, Matt, the handsome hero who has waited patiently, trying to be an honorable man. Though this book is definitely a stand-alone story, I enjoyed the glimpses of characters from earlier in the series. With the backdrop of a beautiful mountain valley and the charm of a Victorian century-old house, Rocky Mountain Reunion brings you home…..to a place of faith, hope and love, with a picturesque conclusion. 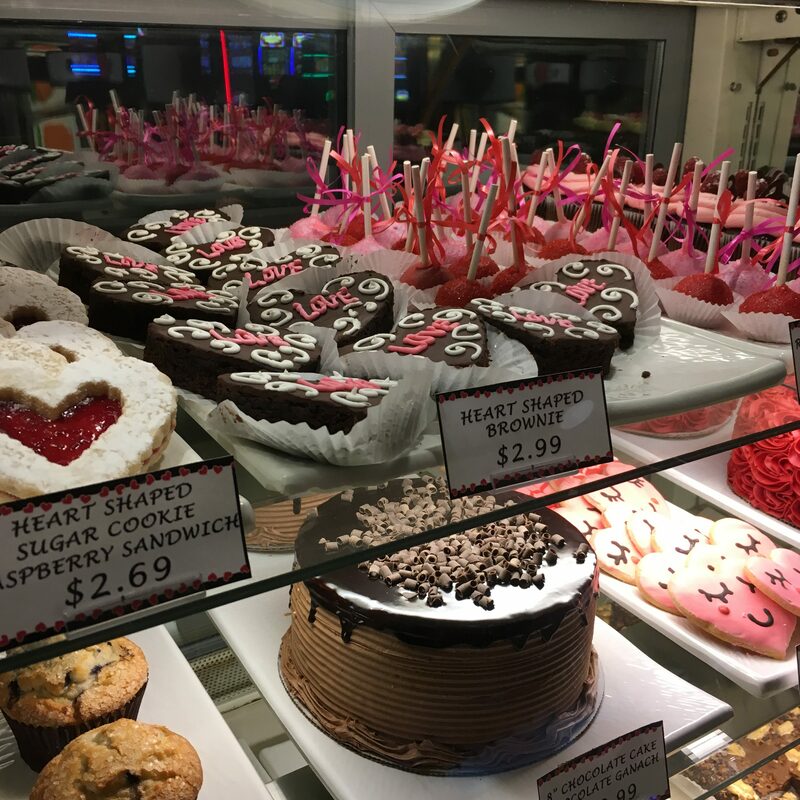 If this is a return visit to Paradise or your first, be sure to stop in at Patti Jo’s Cafe and Bakery for a chocolate chip cookie or a cinnamon roll. You won’t be disappointed! *I purchased and was given a copy of this book. I was not required to write a review. I love giving my enthusiastic opinion of this novel. 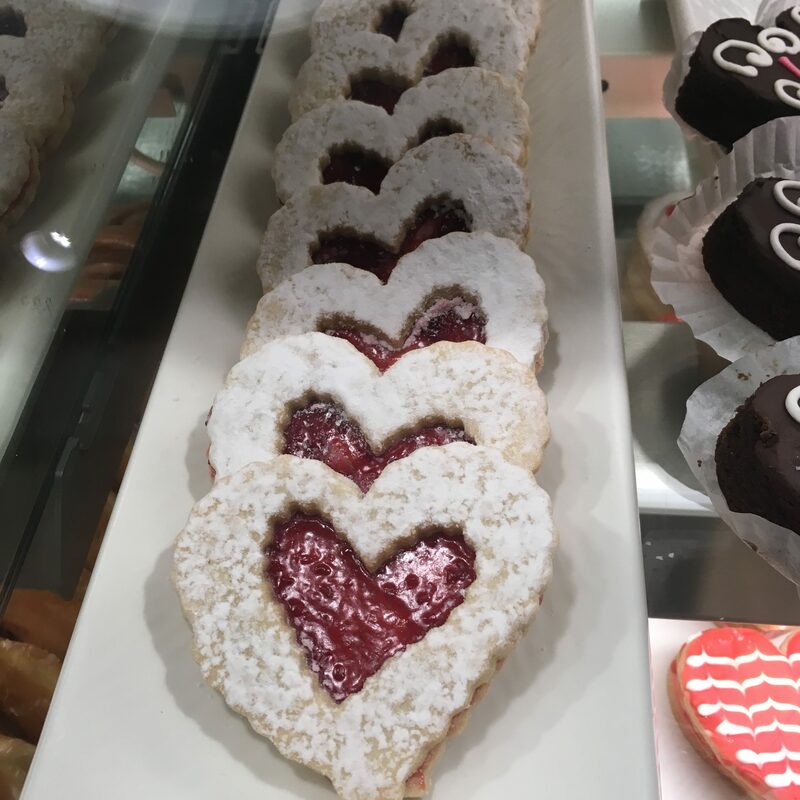 One of the reasons I like to visit Paradise is the story always includes a stop at Patti Jo’s Café and Bakery…..so for a foodie like me….this adds to the story. 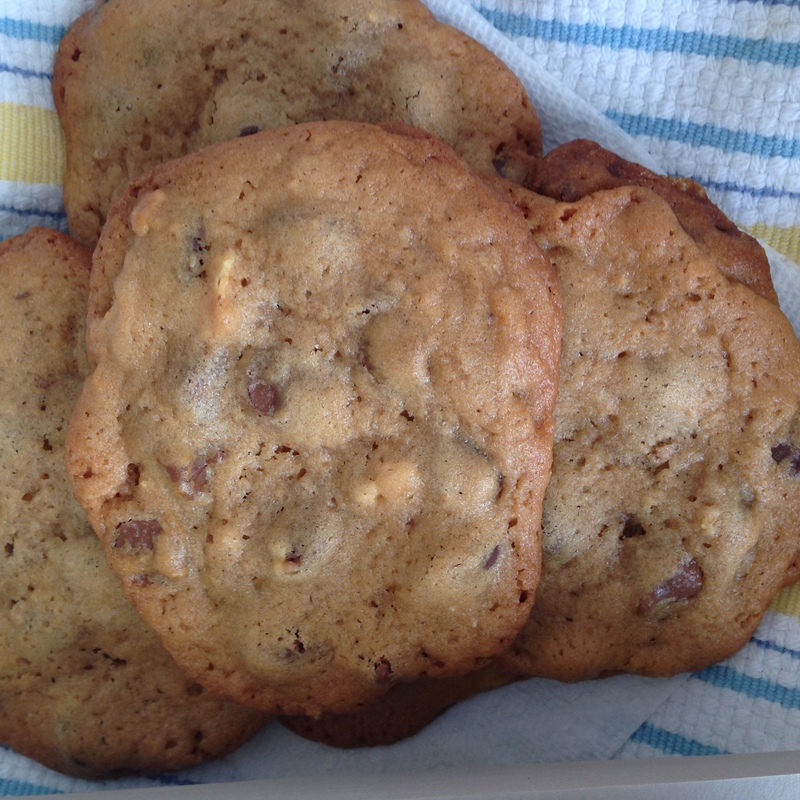 This visit, I selected the chocolate chip cookies…..made with extra chocolate chips just the way Aunt Lily prefers them. Perhaps this time, you’d like your tea sweetened with honey from a favorite honey shop located in the San Luis Valley of Colorado. I used a recipe from All Recipes for this treat. I’m giving away a paperback copy of Rocky Mountain Reunion–US mailing addresses only. By entering the giveaway, you agree to have read and understand the rules per the legal page on my blog. So I can contact you about delivery if your name is selected, leave a comment with your email address, using AT and DOT to avoid scammers, then fill out the Rafflecopter form. Good luck! 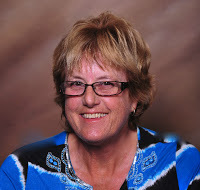 Please continue to bless author Tina Radcliffe in all she does as she gives to others. 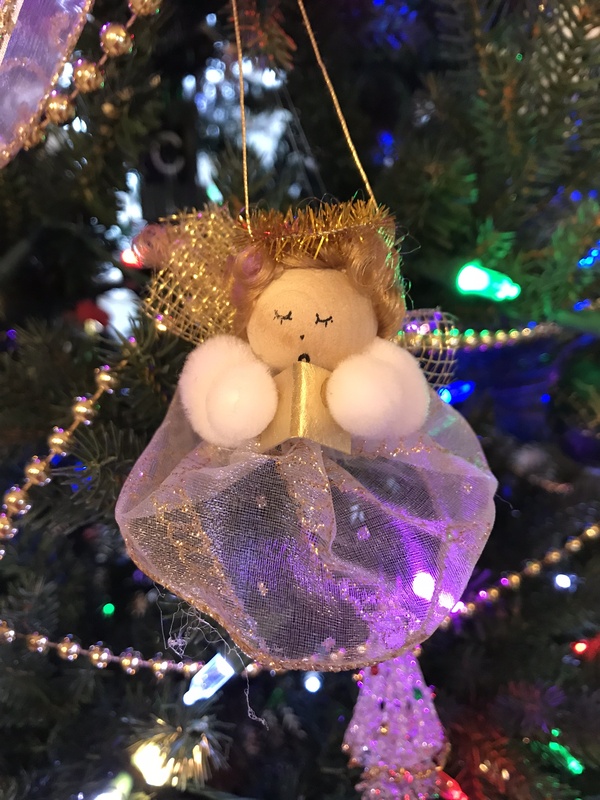 Help her stories of faith reach the readers who need to hear the message of your love…..that we wait on you and your perfect timing. We ask that you give all Christian writers strength and encouragement as they write from their hearts, spreading grace and hope. May the readers of these books and this blog be encouraged and blessed. Thank you! Thank you so much for joining me for #TuesdayTea in Paradise, Colorado. May your days be filled with God’s treasured blessings! 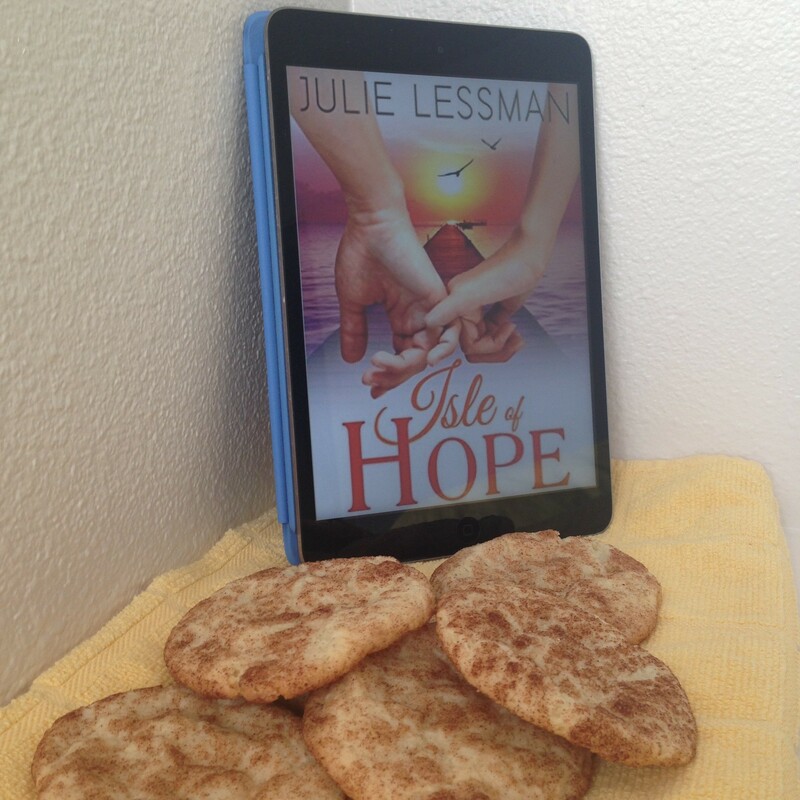 I’m reviewing Julie Lessman’s new book, Isle of Hope: Unfailing Love (Isle of Hope Series Book 1). I’m thrilled Julie has written a contemporary romance…..and in the lovely coastal setting of Isle of Hope, Georgia. Please have a snickerdoodle (as featured in this book) and some peach tea….either iced or hot, as we chat about this emotional book of forgiveness. 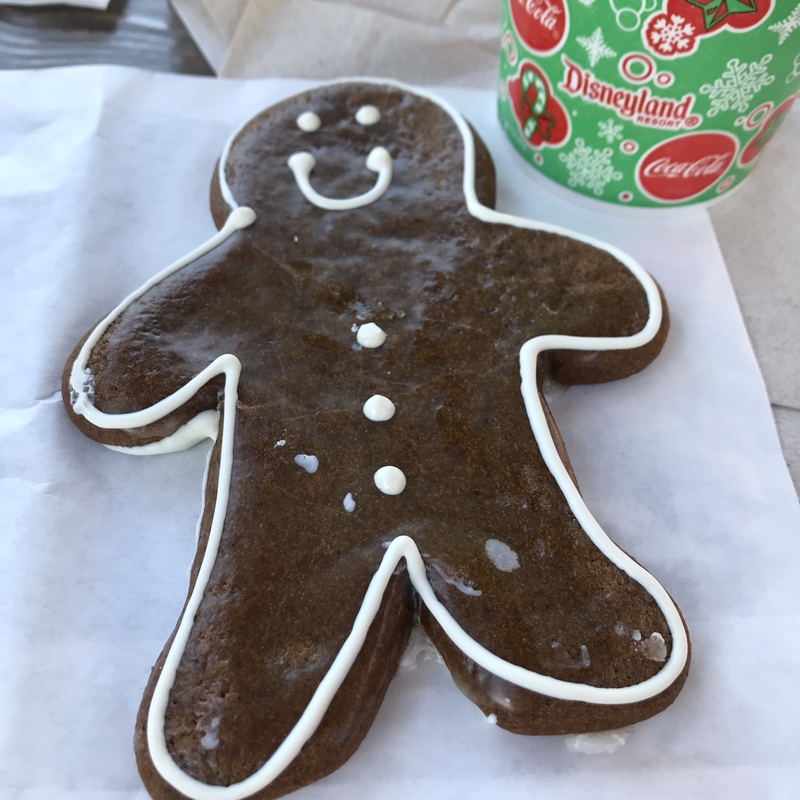 Please enjoy some snickerdoodles before reading my review. I loved all the food treats included in this story! Here is recipe I found on the AllRecipes site for Snickerdoodle Mix in a Jar. This would make a yummy hostess gift for the upcoming holidays…..or a friendship gift to go along with a copy of Isle of Hope. Extraordinary! Isle of Hope: Unfailing Love is a riveting story of humility, selfless love, and extraordinary forgiveness! “Wow!” and “Oh, my!” …..my thoughts as I read the pages of Isle of Hope, a novel packed with emotion! The first line of Isle of Hope lets us know there is drama and intensity ahead in this story. This is a reunion romance–a romance which started back in high school between Lacey, the class flirt, and Jack, a pastor’s son. Years later, they are back in Isle of Hope for a wedding celebration. Many issues come to light as the story evolves. Just as I felt the characters had solved an emotional crisis and all would be fine, another mountain would rise before them, definitely surprising me. This book compelled me to read as fast as I could to find out if their happily-ever-after was even a possibility after so much pain and regret. I like Lacey’s courage and her persistence as she tries to reconcile with her father concerning their hurtful past. Jack is great. He shows such tenderness towards the woman who left him. He is dedicated to his family and to helping his pediatric patients. All the other characters were intriguing, but I especially liked Tess, with her warmth and gentle faith…and her nurturing gifts (bribes?) of food, including bacon for Beau, Ben’s dog. It is satisfying to live with these characters as they struggle with forgiveness. Isle of Hope is fantastic to read…filled with the unimaginable pain of betrayal, which then escalates with the tension of powerful anger and hopeful love. 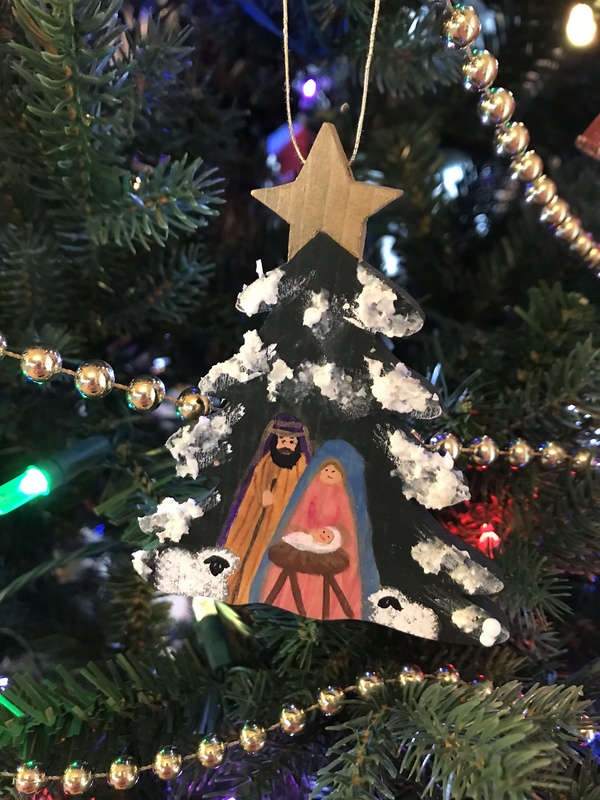 Julie Lessman is a passionate writer who excels at filling a story with heart-thumping emotion, while including the gentle reminder that God is our HOPE, and He is truly in control. *I received a copy of this book for my review. This is my honest opinion of this extraordinary book. As I’ve mentioned above, Isle of Hope is an extraordinary book. Since I mainly read contemporary romance, I was delighted to learn Julie has expanded from her historical novels to begin a contemporary series. After reading this first book, I’m hoping for some of the characters I so enjoyed will have their own HEA. I appreciate the forgiveness theme in this book. We probably all have some issues, big or small, in our lives which cause bitterness. This book powerfully hit me with the reminder that forgiveness is the only way to peace….and God will give me the strength to forgive……extraordinary strength…..if I listen and obey. I need to tell you this: Julie is such a gracious person. Regretfully, I had to back out of her official blog tour because I had over committed my time. Since I like to believe I’m a responsible blogger, I was embarrassed to let her know I couldn’t promise to have a review done by the date of the blog tour, even though I had already accepted an electronic version of her book. Perhaps someone else might have been upset and angry that I had broken my promise of promotion and reviews. However, Julie absolutely understood my situation, making me feel completely forgiven. I have the greatest respect for Julie because she does truly live her faith. It’s not just words in a book. Please help me remember you are our God of hope and extraordinary forgiveness. You know all things…my sins against others for which I need forgiveness and the forgiveness I need to extend to others as you have forgiven me. Please continue to help me have a forgiving and humble heart. Thank you for gifting authors, like Julie Lessman, with the ability to write words which challenge me to walk more perfectly in your ways. Bless Julie’s efforts with this book to bring the hope of extraordinary forgiveness to many. Thank you for joining me for #TuesdayTea! May all your days be blessed with the extraordinary treasure of God’s forgiveness! 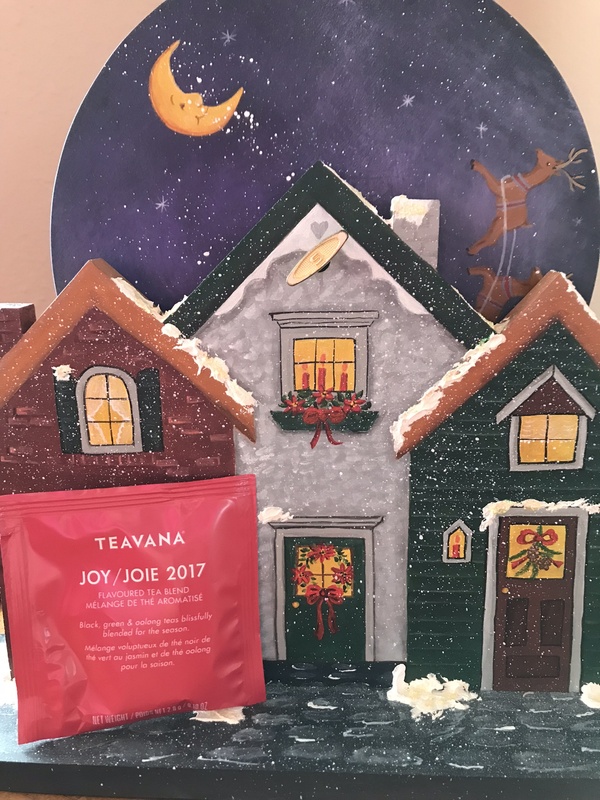 TUESDAY TEA: MY HERO-Celebrating Happily Ever After! This week, my real life hero and I celebrate our forty-two years of Happily Ever After. We’re gathering at the Old West Book Shop today. In my husband’s honor, I’m serving his favorite Arbuckles coffee (strong) and his favorite treat, Oreo cookies. He’ll be reading his treasured Louis L’Amour books while we’re lingering over coffee. We celebrate our forty-two years of happily ever after this week! This is the man who asked me to go to the Junior Prom with him for our first date. This is the man who still wanted to marry me when I told him I wasn’t able to have children. This is the man who stood by me as I went through many years of infertility treatments. This is the man who calmed me as we went through high-risk pregnancies. This is the man who was by my side both times we brought miracle babies into the world. This is the man who comforted me when two of our babies went to heaven before being born. This is the man who is a wonderful father to our two sons, who are amazing men. This is the man who has always worked hard to provide for his family. This is the man who delights in being Granddad to the most adorable grandchildren in the world. This is the man who strives to live a Christian life every day. 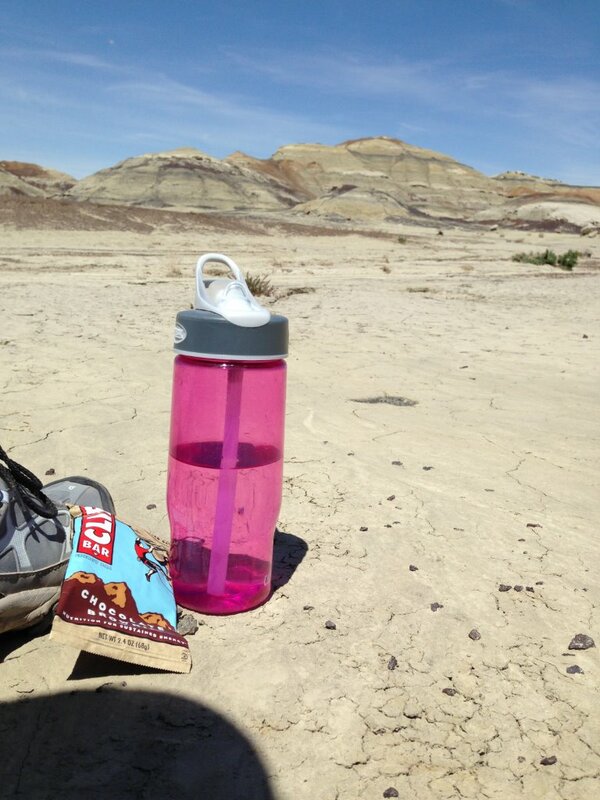 This is the man God created to be my best friend, my companion along the trail. This is the man who is my hero. This is the man I love. Blessings to you, DEAR HUSBAND of forty-two years….and forever! No computers were harmed in the 1.541 seconds it took to produce this page.